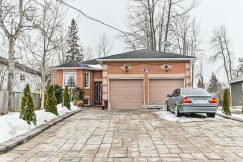 OTTAWA – Canadian homebuyers looking to insure their mortgage through the Canadian Mortgage and Housing Corporation (CMHC) will be facing slightly higher insurance costs if they plan to buy after May 1, 2014. On February 28th, the lender announced that it would be hiking its standard premiums from a current range between 0.5 and 2.9 per cent, to a slightly steeper range between 0.6 and 3.35 per cent. According to the CMHC’s official press release issued Friday, the change is expected to cost “average” homeowners approximately $5 each month. Under Canadian federal law, mortgage insurance is legally required for any home buyer who is unable to pay a down payment equal to, or greater than, 20 per cent of the property’s value. The exact percentage of buyers’ insurance premiums varies depending on the mortgage’s loan-to-value ratio (meaning the lower your down-payment, the higher a premium you’ll have to pay). Steven Mennill, CMHC’s Vice President, Insurance Operations, explained in the statement that higher premiums will allow the corporation – which is government-owned – to provide more secure value to the Canadian taxpayers who support it. 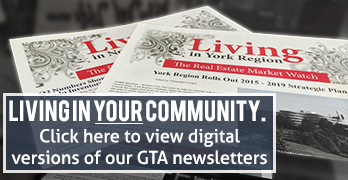 To get a local perspective on the change, GTA Real Estate News spoke with Shubha Dasgupta, a GTA-based mortgage broker with Dominion Lending Centres. He agrees with Mennill that from a risk-management perspective, the increased premiums are a smart move. Dasgupta also noted that in addition to having a minimal impact on homeowners’ wallets, the increased premiums will also only affect a specific demographic of home buyers – namely, those who are shopping for their first home. According to the National Post’s Garry Marr, the CMHC has two private-sector counterparts – Genworth Canada and Canada Guaranty – who account for about 30 per cent of Canada’s mortgage default insurance market. These two organizations’ premiums currently reflect those of the CMHC, and Genworth has already announced their own 15 per cent premium increase to take effect May 1st. Rob McLister, editor of Canadian Mortgage Trends, told the Post he suspects that the country’s remaining private-sector insurers are likely to follow suit as well.